MaverickTV Repo has great stuff in store for you. When The Alpha decided to stop being an active contributor to the Kodi scene, Joker chose to become an independent. This made sense with a wonderful Build Wizard and the Joker TV all-in-one Kodi addon. Joker quickly renamed the Joker TV addon to Maverick TV and became one of the most prolific developers in the Kodi third-party community. The MaverickTV Repo has grown steadily over the past few months with plenty of goodies coming from Joker/Maverick. MaverickTV is a popular repo containing lots of popular Kodi addons besides its namesake Maverick TV. These include The Magic Dragon, Skynet, Mafia Streams, At The Fix, Project Mayhem, Joker Sports And More! The MaverickTV Repository has something for every streaming entertainment craving. IPVanish VPN provides an app specifically tailored for Firestick and Fire TV users, and with their 7-day money-back guarantee, there’s no reason to remain exposed. Try it now risk-free. You must enable unknown sources before Kodi will allow you to install Maverick Repo on your Firestick. Check out our easy Enable Unknown Sources in Kodi tutorial if you’re not sure how. You can install any of the best repos or addons the Kodi third-party repos have to offer once you enable unknown sources in Kodi. We simply need to tell Kodi where to find the repository files once the unknown sources are allowed. Once at the Kodi home screen, go into the System menu item by clicking on the gear cog icon. Go into the File Manager. Then, click on Add Source. Click <None>, so we can use a custom external source. Enter the address http://mavericktv.net/mavrepo in the text area and click OK.
Name this media source Maverick, then click on OK.
Once you have enabled unknown sources and let Kodi know the repo source location most repos can be installed by following the same steps listed below. Circle back to the Kodi Home Screen, then click on the Add-ons menu item. Enter the Add-ons browser by clicking the Package Manager that looks like an “open box” icon. .
Click Install from zip file. Select Maverick the source item saved earlier. Click the repository.maverickrepo-X.X.zip file to start the install of the Maverick repo. A notification should appear that says MaverickTV Repository Add-on Installed. This will inform you that all went well and you are ready to install Kodi addons from Maverick repository. Maverick TV is one of the best Kodi addons available today. I’ll use that to illustrate how to install Kodi addons from the MaverickTV Repo. If you want to learn more about the Maverick TV addon and its installation, check our Maverick TV guide. Pardon the pun. First, click Install from Repository. Enter into the Video add-ons directory. Go down to Maverick TV and click it. Click the button that says Install. Once the Maverick TV Add-on installed message appears, then Maverick TV is installed and ready to use. It’s that simple for all of the addons from Maverick repo. 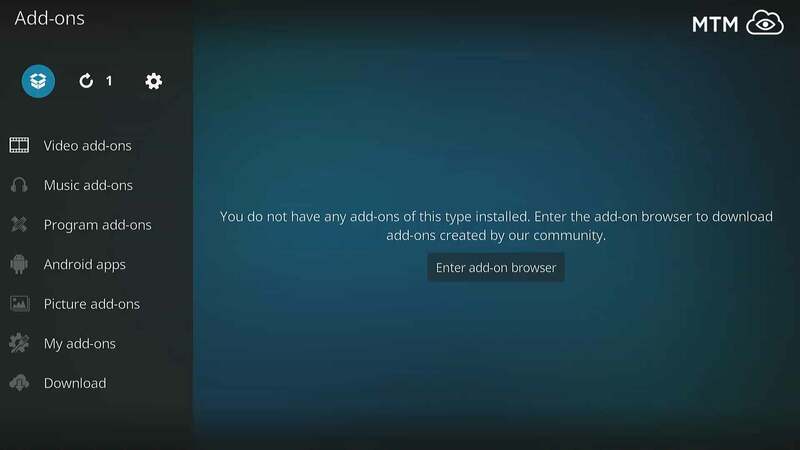 Simply go back to the Kodi home screen and enter the Add-ons menu item to see all your installed addons. Make sure to turn on your VPN before streaming all the live sports, new movies, and TV shows you now have access to. After the Maverick TV Add-on installed message pops up Maverick TV is installed and ready to use. Follow those same simple steps for all of the Maverick repo addons. 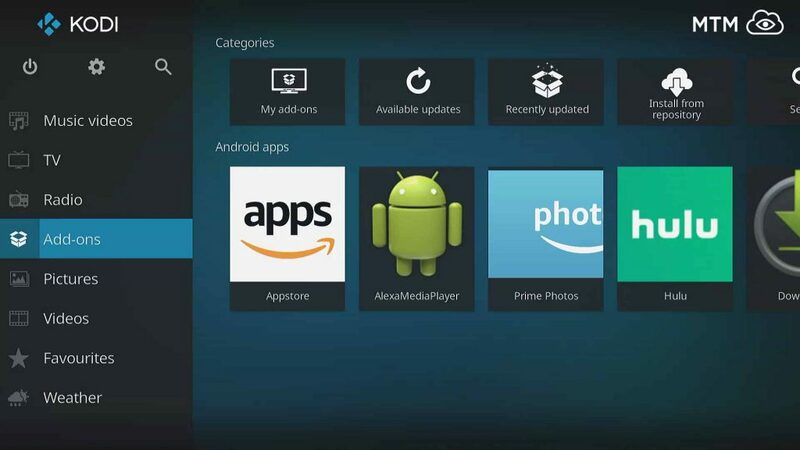 Get back to the Kodi home screen and go into the Add-ons menu item to view all your recently installed addons. Don’t forget to turn on your VPN before streaming all the live TV, sports, and new movie releases you. While using a VPN with Kodi is required to prevent being spied upon, we also use Kodi to save hard earned money. Feel free to try the top VPN for Kodi users risk free, as IPVanish VPN provides a 7-day money-back guarantee! All your online activities are invisible with military-grade encryption. None of your personal info or activities get logged or saved anywhere. No censorship or restrictions—access all content anonymously. Enjoy unlimited bandwidth to avoid lag, buffering, and slow connections. With their 7-day money back guarantee, get started with IPVanish VPN risk-free! We’d love to hear any comments you have about this Install Maverick Repo article! Feel free to ask about any other repository or addon and we’ll do our best to be of service. Give us a shout on Twitter , Facebook , or Youtube also. Now, get the popcorn popped, enable your IPVanish VPN app, and fire up your Kodi entertainment center for the evening. There are movies, TV series, and even live sports events waiting for you to enjoy them. very good kodi addons to watch. thank you.